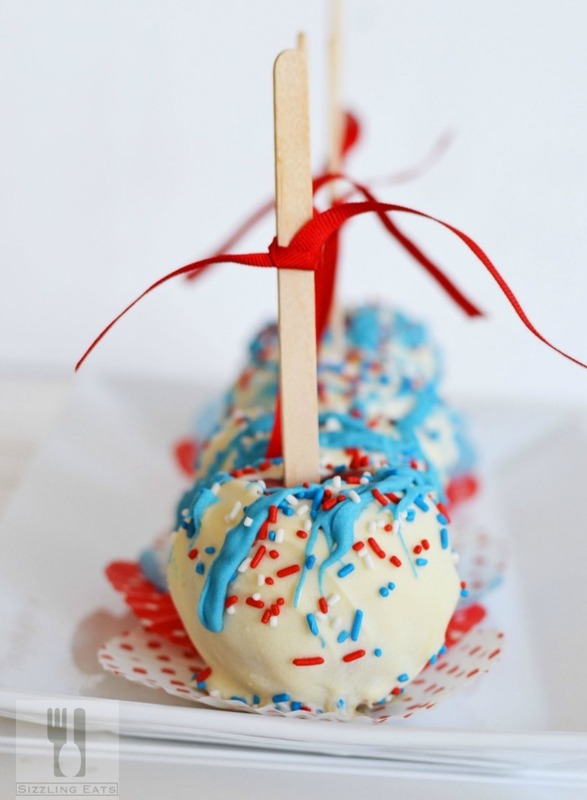 Home » Recipes » Dessert Recipes and Ideas » Patriotic Candy Apples! 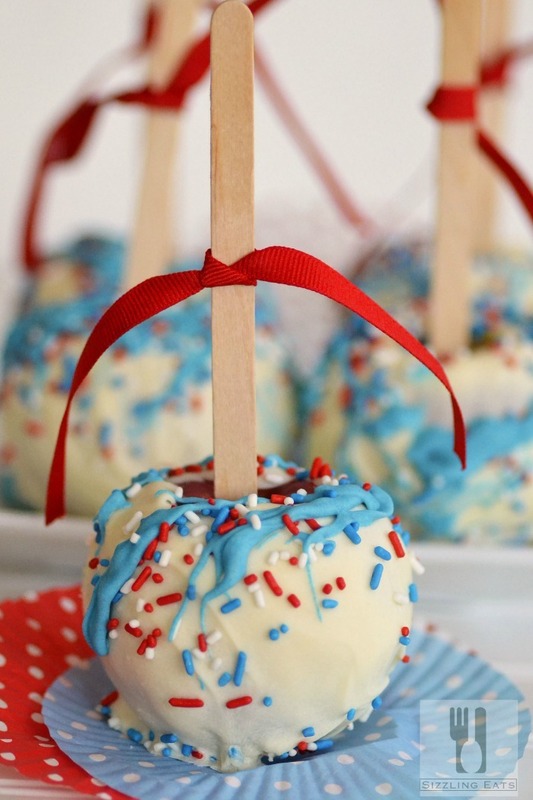 Patriotic Candy Apples Are Perfect for Memorial Day or Fourth of July! Memorial Day is one of my favorite holidays each year. This year is going to be a little different since my father passed away last December, but I will try to make the best of it. Cookouts, a day of remembrance, and hopefully nice weather will keep my spirits up and ready to kick off the start of the Summer! Creating red, white, and blue fruit based desserts is one of my favorite things to do! 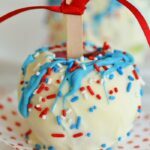 The summer time is all about fruit based desserts so I figured making some Patriotic Candy Apples would be perfect for Memorial Day or even Fourth of July. Whenever I head to fairs or amusement parks I always head to the chocolate shops to get myself a candy apple. I love biting into a sweet, multi-layered juicy apple so much! That is why I wanted to make my own to celebrate! I typically use caramel, but wanted to use some premium white chocolate morsels I had in my pantry before they started to melt with these hot and humid temps we are getting. So of to the kitchen I went…being a food blogger means I literally have an arsenal of all sorts of seasonal goodness. red, white, and blue sprinkles, candies, food gels, sticks, ribbon–you name it–I have it on hand. My office is like a big messy hoard of fun, and decorate accessories to jazz up my desserts. 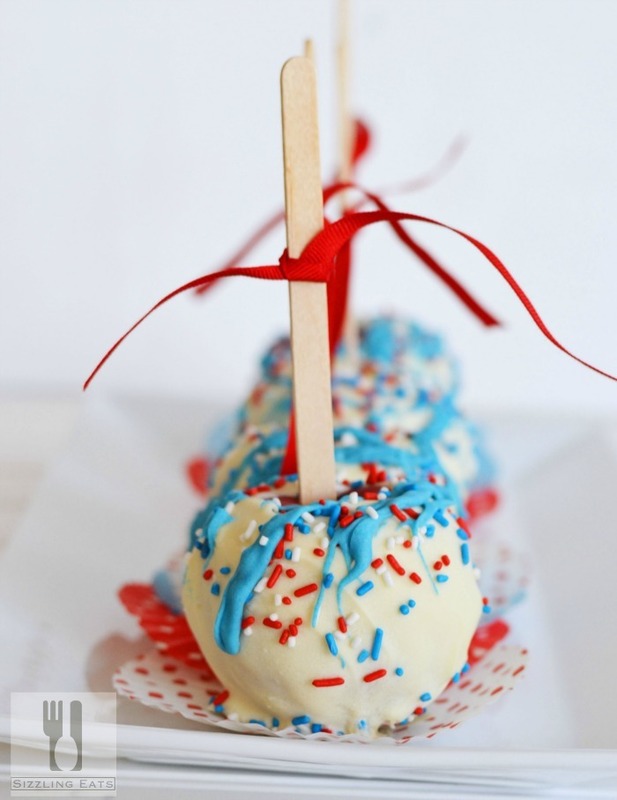 I grabbed some wooden sticks, ribbon, sprinkles, food gel, and was off to make some pretty patriotic candy apples. One thing I should mention is that most non-organic apples sold in the market are coated in wax to keep them pretty. In order for your chocolate to stick, you need to use really hot water, and gently scrub this off, otherwise your chocolate will drip down your apple and onto your counter like a massive blob. You will want to you either a double boiler to get your chocolate the perfect consistency and a fork. These two tools will make coating your apples easy! I also line a baking sheet with parchment or wax paper to place the apples on. This little trick will keep them organized, and allow them to pop off the paper easily after they have hardened in the fridge. I think they came out pretty cute, and certainly edible! 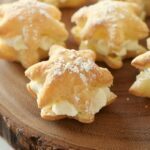 They would make an awesome cookout dessert because they are pretty quick to make, and are no-bake. Carefully wash and dry each apple. You will want to remove the wax, and keep the apple dry. If you get even a drop of water into the chocolate it WILL ruin the consistency! Heat chocolate over low heat on a double boiler. You will want it to be really creamy. 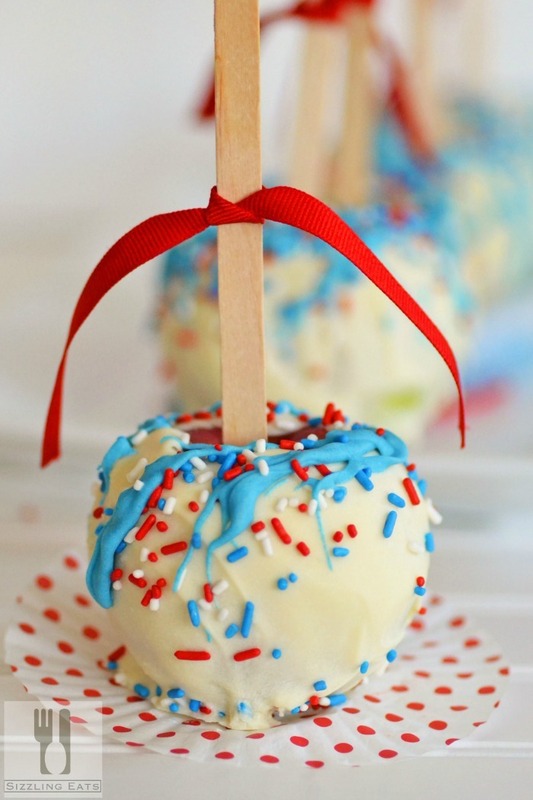 Once each apple is coated, sprinkle with patriotic sprinkles. *Please note if you use candy melts, you will want to decorate after each apple is dipped because that stuff hardens super quickly! Once all apples are done, add food coloring to the remaining chocolate, stir and then drizzle on the blue chocolate onto your apples. 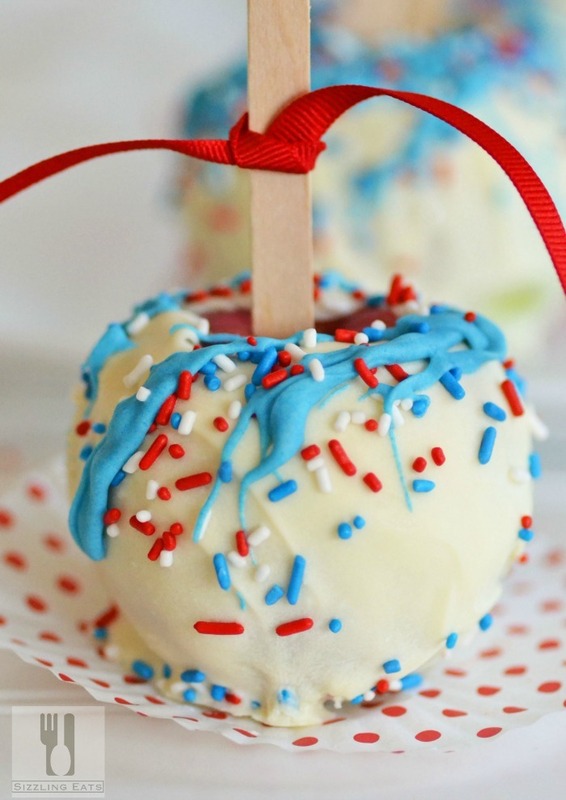 These patriotic candy apples are coated with premium white chocolate and sprinkles - perfect for memorial day or 4th of July! I love these! They look delicious AND beautiful. Wonderful! 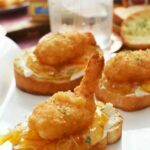 Those look so delicious, and I love the colors you used! I love candied apples! These look very pretty! 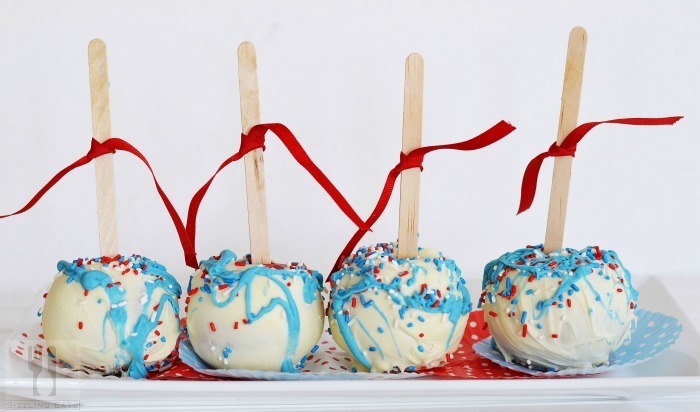 I always think of candy apples as being fall foods, but these are perfect for summer. Your photos are amazing!! 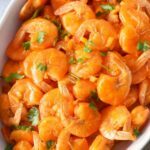 I could lick the screen right now – plus it looks relatively easy to make. I so need to and soon! Those are beautiful apples!! 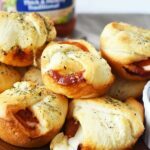 These would be an amazing treat for the holidays. Hi Amy, both your apples and your photography are so pretty! 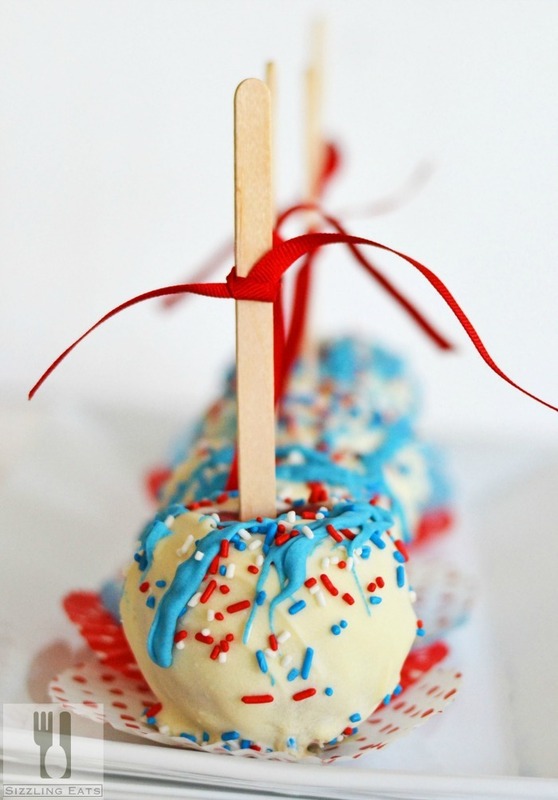 These are perfect for the Patriotic Holidays ahead! 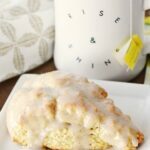 Would love for you to share and link these at OhMyHeartsieGril Wordless Wednesday! I pin, tweet and share! Have a wonderful week!